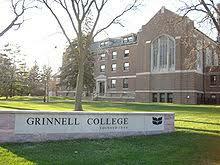 The 2018 Midwest regional conference will be held November 19-21, 2018, hosted by Grinnell College. Fellows and coordinators from Carleton College, Grinnell College, Macalester College, Northwestern University, Oberlin College, the University of Chicago and Washington University in St. Louis are eligible to attend. For more information, please contact Grinnell MMUF coordinator Karla Erickson at ericksok@grinnell.edu.